There are simple interventions you can make in these days of ever-increasing costs. These can help save money and keep your heating and cooling budget in check. None of us like to get a surprise when our utility bills arrive, leaving us pondering what we could have done more efficiently to prevent the nasty shock of a high account. We are going to reflect on some strategies that will help save energy costs. Spring and summer months, the weather is warming nicely as thoughts turn to keeping the home cool. Some of the tips we aim to promote in this article are easy and free to implement, provided you have the self-discipline to monitor them. 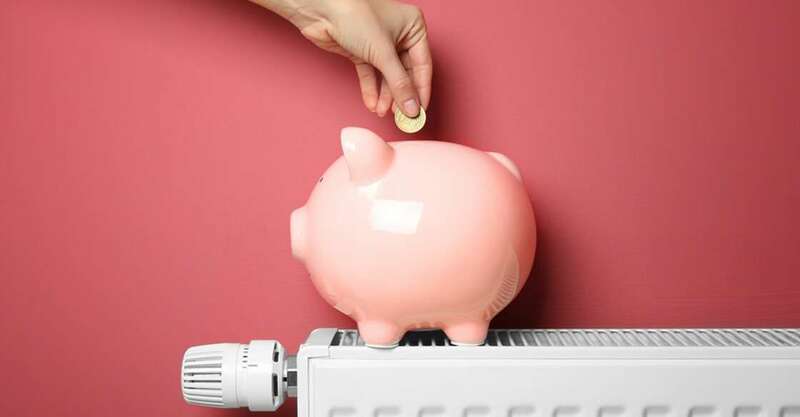 Others are common sense actions you can take to generate savings with your heating and cooling budget. The best place to start is to conduct an energy audit, as this will assist in determining where you can make the most savings. Follow this link to Energy.Gov to view an interesting infographic on everything you need to know about home cooling. You can also search for tips to save on energy costs for the cooler months of fall and winter. It always cools off as evening approaches and then turns to night. This is a good time to throw open your windows and turn off your cooling system. When you get up in the morning, reverse the order by shutting your windows and closing the blinds or drapes to retain the cool air. There are products available on the market that prevent heat rising as sunlight penetrates the glass in your windows. Setting your thermostat as high as your comfort zone allows in summer will help lower your power utility bill. This is because you have brought the prevailing temperature inside your home closer to that outside. You could also consider keeping your house even warmer when you are away from home. Most modern thermostats are programmable, so set the thermostat to a mid-range 78°F when you return home and feel the need to cool off with the air-conditioning system. Resist the urge to set your thermostat to a lower position than normal to assist your air conditioner cool your space quicker as it does not help. Excessive cooling could add substantially to your energy costs. HVAC systems are standard features in most homes these days. They perform important functions in both cooler and warmer weather. Even with regular maintenance, HVAC systems have a limited lifespan and can start to cost more as they age. Don’t wait until it fails completely. Should you notice signs of poorer performance, be proactive. Nobody wants to turn on the AC or furnace and realize nothing is happening. Discover as much as you can about operating your HVAC system effectively. You will quickly learn to distinguish between a healthy performing plant and one that needs fixing. This in turn helps keep your heating and cooling budget from going ballistic!